Echo & The Bunnymen have announced first official details about their tenth album which is due to be released later this year. The album will be entitled "The Fountain" and it will be available as a digital and CD release in October. The first single "Think I Need It Too" will be available as a digital single release on the 28th September. This song and three others are streaming on Bunnymen official. Check the link for more info. 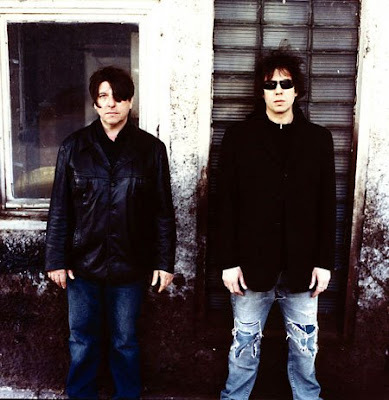 The band original members Ian McCulloch and Will Sergeant, plus assorted sidemen — also have begun announcing North American dates at which they will perform 1984’s classic Ocean Rain in its entirety. 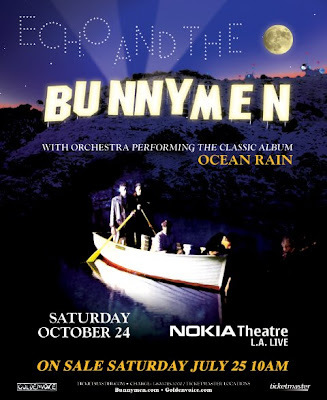 The Bunnymen toured that album throughout 2008 and earlier this year, but only played one U.S. show, in New York. So far, concerts have been announced in Toronto, Ontario; Oakland, Calif.; and Los Angeles. Thanks for the post, I was supposed to be away when they are in Toronto. I may have to alter my plans.